Looking for fun things to do in Fort Wayne at night? Fun things to do in Fort Wayne at night are at Deer Park Irish Pub. Try any number of our huge selection of bottled beers, draft beers, and dance a little jig while you’re here – you won’t want to leave! 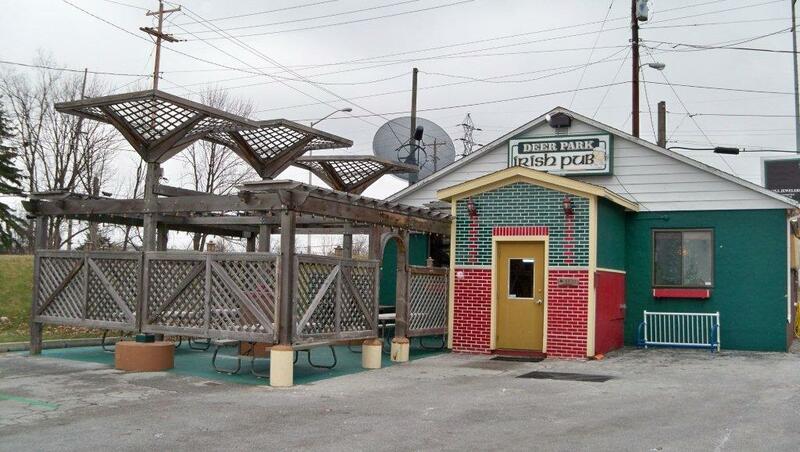 Browse our website to to learn why Deer Park was voted #1 Best Bar in Fort Wayne 2013. Conveniently located near the University of St. Francis, the Deer Park Pub features a warm lodge-like atmosphere, friendly staff, and dozens of imported beers, and nearly 100 craft beers. In addition to our generous selection of beers, we offer wines, a light bar food menu, and fresh hand-tossed pizzas delivered right to your table faster than you can down a pint! When looking for fun things to do in Fort Wayne at night, keep an eye on our event calendar. The enjoyment and entertainment never end at Deer Park Irish Pub. There’s never a cover charge at Deer Park Irish Pub, so there is no need to continue searching for fun things to do in Fort Wayne at night. We know how to make nighttime fun in Fort Wayne with live entertainment from local musicians and bands, jamming out to cabaret style shows hammered out on our 1930’s depression era piano, to dancing your little heart out with Fort Wayne’s exclusive dance competition we like to call Dancioke with your host, Tony Baloney! You’ll quickly realize why Deer Park Irish Pub is becoming a hot spot in Fort Wayne and a popular destination for those looking for fun things to do in Fort Wayne at night. Another fun thing to do in Fort Wayne is our famous St Patrick’s Day Parade. It’s the shortest parade route in the USA and yet, we have more than 3000 people join in on the fun! We also host popular events such as, USF Cougar sports parties and our wild and crazy Mardi Gras celebration complete with Cajun music. Come see what everybody looking for fun things to do in Fort Wayne at night is doing.